Jhudora perched at the rails of her castle’s balcony, her head propped up in her hands. She sighed in frustration as she watched the rays of light struggle to shine through the dense forest and vines surrounding her castle. It was another dawn, another day again. What kind of evil would she cook up today? 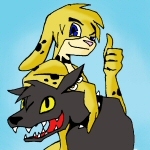 Hello there, I’m writing from the frosted cobblestones of Neovia to bring you a story about the fascinating culture of emergent gameplay that comes from our boards here on Neopets. 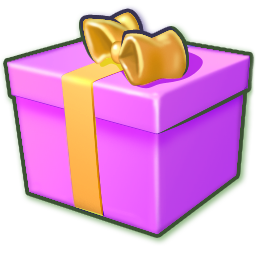 Emergent gameplay refers to user created and motivated games that grow as a result of official mechanics. In today’s cases I will be focusing on community run events and activities that exist outside of guilds, because those could be in a whole article for themselves! One of our favorite things to do in all of Neopia is to play Food Club. Not only is it one of the best money makers there is, but it's a ton of fun to make your own bets and win big. Throughout our many years of making bets, we have learned all about the various pirates, and we thought it would be a fun idea to share our top 10 favorites here today. 13 Ways to Ring In Spring! Guess what, Neopians?! Spring is just around the corner! Here are some ways you can celebrate the up and coming season! The idea of Springtime has given me a lot of ideas, ideas that I wish to pass along o you so you can have a wonderful springtime! Bzzzt!....Bzzzzt! The alarm clock blares BzzzzZZZZZT! The Tiki Tack (Tombola) man groggily reaches over, looks at the display which says 1:00 AM NST, and turns it off, he blinks his eyes a few times and stretches while he gets out of bed. He gets up, admiring the sun on this nice pleasant morning in the month of Swimming! He goes to brush his teeth, puts his wooden tiki mask on, and gets ready to let hundreds upon thousands of pets, from the native Coconut Jubjubs to the exotic Dimensional Yurbles, risk their luck at his Tombola Stand! The morning starts out a little slow, a sporadic smattering of pets playing Tombola, with the big winner, a timid rainbow acara, of the morning coming at 2:45 am NST when she won 328 NP, a Zei and Eo Codestone! She jumped for joy and, even though she couldn’t see it behind the mask, the Tombola man let out a great big smile at the joy his game had brought the sweet pet! The Tombola man looks up at the clock on the wall, “5:00 AM!” He exclaims! He rushes to close the door to the hut, where the Tombola game is located, before any other pets can make their way into play. He then hangs a sign on the door that reads ‘Closed. Back in an hour or so’! He thinks in his head, “Ah! Now that I have some peace and quiet, time to take inventory and prepare for my trip later on in this afternoon!” and he goes off to count the various items he has in stock to give as prizes or less than desirable, what most pets would call ‘junk’, prizes. Jhudora perched at the rails of her castle’s balcony, her head propped up in her hands. She sighed in frustration as she watched the rays of light struggle to shine through the dense forest and vines surrounding her castle. It was another dawn, another day again. What kind of evil would she cook up today? 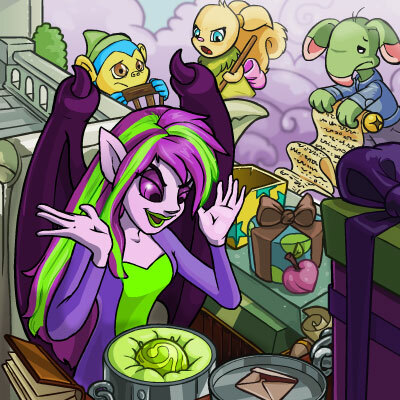 Being the one and only evil faerie, and one of the most well-known villains of Neopia, Jhudora had a reputation to constantly uphold. Just recently, she’d had a blast creating chaos in Faerieland and around Neopia with a series of events, she chuckled thinking about it. For one, she cast a fog spell over Faerieland, engulfing everything in greys and gloom. Everyone resided indoors as they could hardly make their way out the door. She also created purple smoke portals around Neopia that teleported you to a random part of Neopia when you stepped through them — the worst part was that the portals closed immediately after you entered them. It left a lot of Neopians stranded and distressed, it was a day of pandemonium. Today, however, Jhudora could not think of anything. In fact, she had been up all night, restless and racking her brains for ideas, but she was coming up empty. She shrugged and muttered, “I guess I’ll just carry on my day like any other. Maybe I’ll get some inspiration along the way.”In the distance, she spotted a few minions, —ahem— Neopets, inching their way up her castle’s path. Oh yes, her lovely fans and other peasants would be here soon to visit her. Part I: A Defining Complexion My name, my essence, my being, is Saphira_15-not the best, not the worst. I don't mind that I'm not Sapphire, Sapphy, Sapphira, or some other name with no numbers. I don't even mind that Saphira is spelled wrong. Jennie gave my name to me. It is the one thing that can never, will never change in my long and tumultuous life. It's permanent. It's me. And in a world where nothing is permanent, where your species and color can change in mere instants-say nothing of the intelligence and abilities you work so hard for--that's important. It really is. I won't sugarcoat things-I was abandoned by Jennie. You probably saw that coming. Most Neopets get abandoned multiple times in their lifespan. It's a sad fact. Actually, I was traded. The point is, I'm not going to string you along. I've had enough of that. There will be little suspense, and even less of a plot. The reason is, it's a life, not fanfiction. You will find, that, for some people, they are one and the same, but not for me. You may think that my story isn't worth reading, then, that it's just meaningless words scribbled on paper. That is your choice. I will not try to persuade or cajole you. If you do end up reading it, my life's story is a sad one. It may leave you different than before you read it. It may soften your heart, or it may harden it. I have learned, through my many trials, that every life is precious and special. I hope that this story changes you as well: into something just a little bit different, so when you look at your pet you may see that they are something to be treasured and loved always. Something Has Happened #1 - Feet? This kiko thinks he's clever, but he's going to learn something new today. they need to be used for something practical okay?